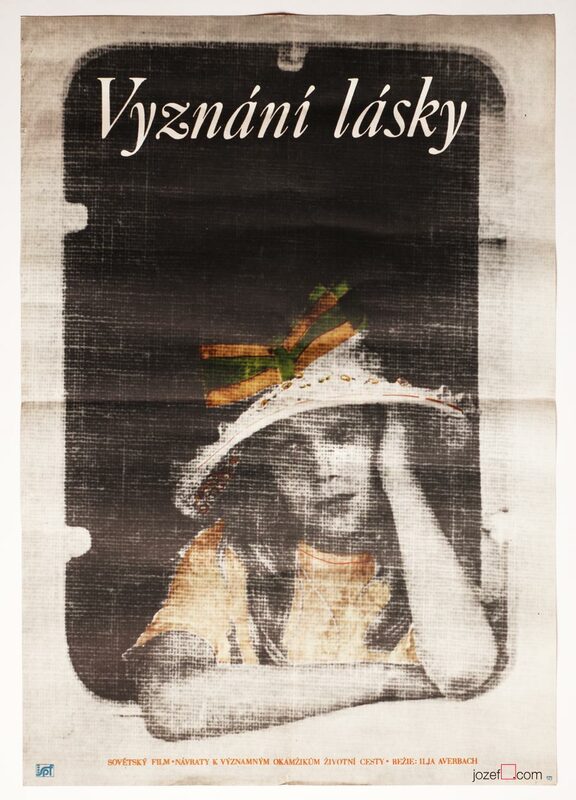 Vintage film poster designed for adaptation of Dostoyevsky’s novel. Made in Czechoslovakia. 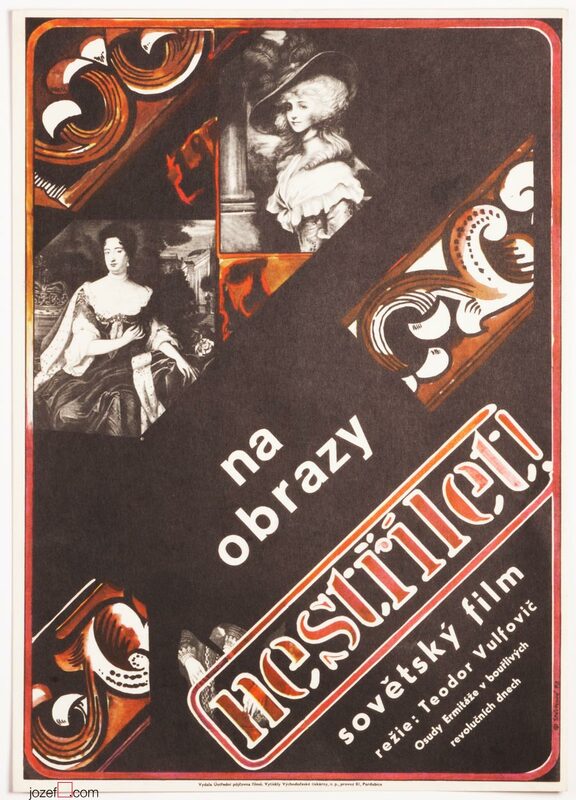 Small movie poster for Fyodor Dostoyevsky’s adaptation of The Gambler. 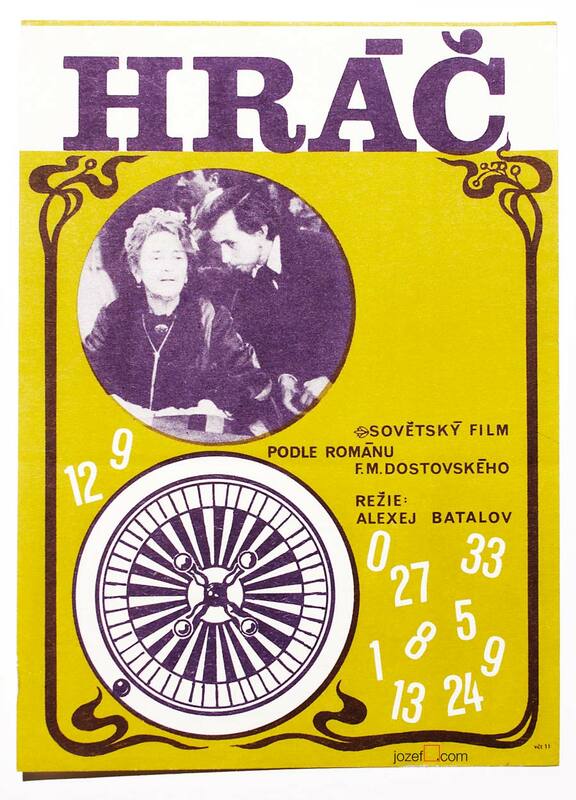 Vintage movie poster designed for an adaptation of Dostoyevsky‘s novel about gambling, directed by Alexey Batalov. The novel speaks of Dostoyevsky‘s gambling addiction and was written by him in 26 days to pay off his gambling depts. Unfortunately, the name of the author of this poster is unknown. However, the designer has managed to convey ‘the tension of a salon atmosphere’ into this small piece of paper by carefully arranging what seems to be a gambling couple and a roulette surrounded by random numbers. 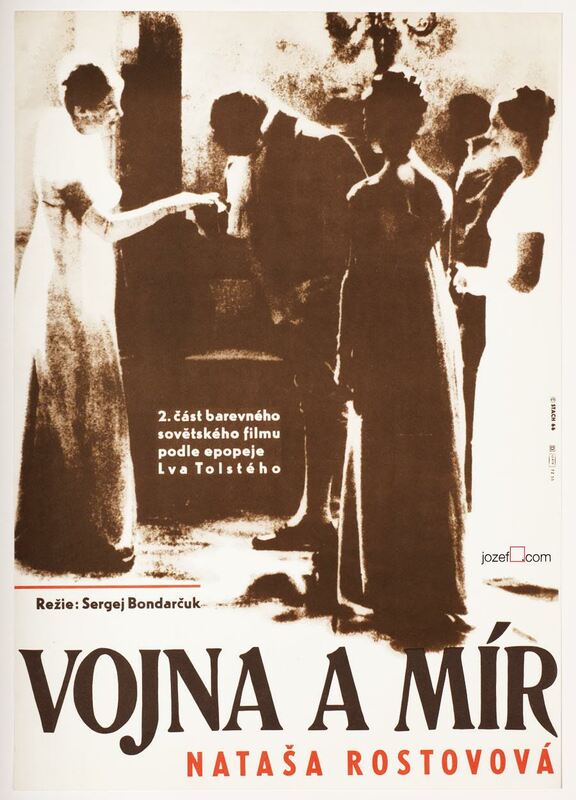 movie posters designed for Russian films in Czechoslovakia. 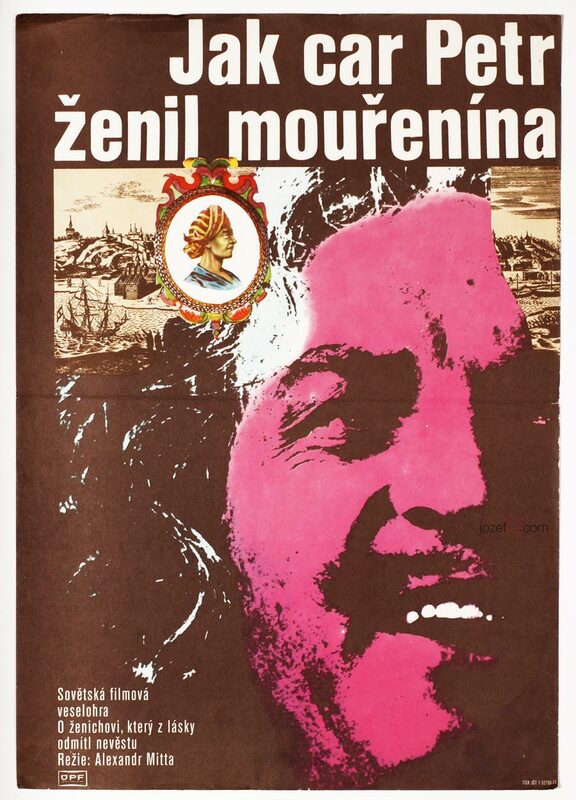 1970’s poster designs available in our poster shop. Be the first to review “Movie Poster – The Gambler, Unknown Artist, 1974” Click here to cancel reply.